The Kodiak 6000 is a sturdy and rechargeable battery to take with you. Shockproof, waterproof and with hours of stored power to charge your mobile devices. 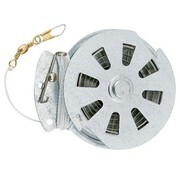 Let out the fisherman in you with this handy and easy to use Yoyo-Reel Automatic Fishing Rod. It is foldable so it makes it effortless to carry. This multifunctional LAIX Tactical Pen is made of hardened stainless steel. It can be used as a normal pen, but it also serves as a good self-defense and glass breaker in case of emergency. The PRT Cardtool is the tool you will want to have when you are in emergency situations. It contains a rope, a screwdriver, wrench, knife, saw, bottle opener, and ruler. 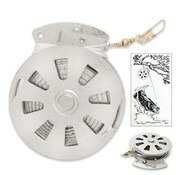 This Box of Zippo slivers comes with 24 pieces so you are provided with light for a longer time.